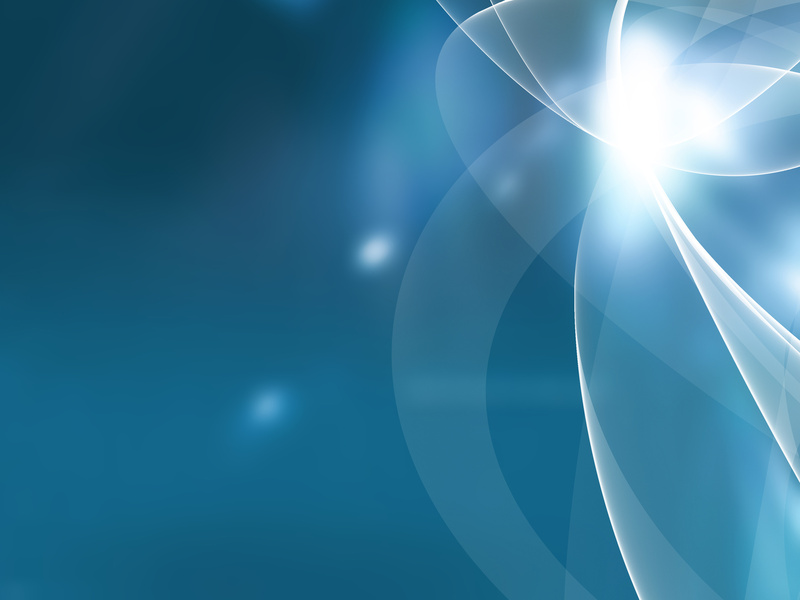 Now you can get your Chi Energy Transfer Test ABSOLUTELY FREE !!! 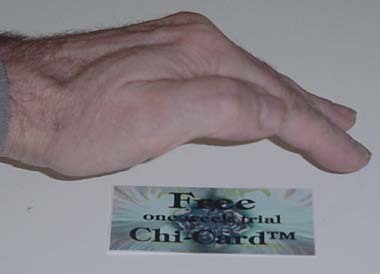 Once you receive the Transfer Test Chi-Card®, print it out, then cut it out. Now you can check the energy output of your Transfer Test Chi-Card® by holding the center of your palm 2-3 inches above your activated Chi-Card®. Make sure that your open hand is relaxed! Take a sip first, so that you can compare later. 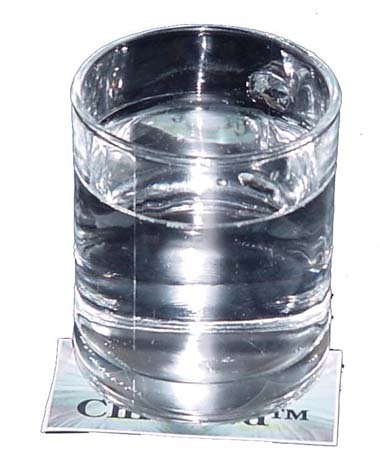 Put this glass on your Chi-Card® for half a minute or more. 2. it was supercharged with Chi Energy. Naturally, you can charge as many gallons of water as you want while your Chi-Card® is activated. To charge one gallon of water with your Chi-Card® takes about 10 minutes. 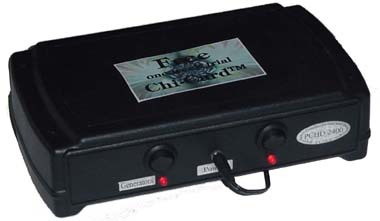 To charge a water-fountain with a 5-gallon bottle of drinking water in an office or waiting room, simply put the Chi-Card® next to the 5-gallon bottle on the fountain or slide the Chi-Card® between fountain and cooler. Naturally, you can charge the 5-gallon bottles before putting them on the cooler. Charging a 5-gallon bottle with your chi-Card® takes about 1 hour. If you want to charge water in a store, put the Chi-Card® at the bottom end of the pallettes with water. It takes roughly 10 minutes to charge a gallon. Your customers will love your water. Above all, now you can energize yourself and start on a journey that ultimately can lead you to permanent positive solutions and manifestation of your deepest desires.